Buckingham's Choice is a retirement community in little known Adamstown, Maryland in Frederick County that has a small nursing home of 36 resident. The pictures of this place are amazing. It has absolutely beautiful vies of the Catoctin and Sugerload Mountains, a beautiful clubhouse and even a pond. Buckingham Choice's nursing home is less impressive. It has produced a puzzling record - exceptionally good by some measures, but judged "below average" on one important metric. Overall, this facility most recently earned Medicare's 3-star rating: average. Yet how many "average" facilities get a perfect 5-for-5 on staffing, and 4 stars (above average) for quality measures? Excellent on staffing, strong on quality measures, Buckingham's Choice nonetheless got a 2-star rating on health inspections. This much is clear: in terms of population, Buckingham's Choice is exceptionally small, with a total of 36 residents in the last Medicare census (versus 107.5 on average for Maryland as a whole, and 86.2 nationally). Normally, these little nursing homes or assisted living facilities tucked into retirement communities are fantastic. But a two star health inspection is awful. Nursing homes that have these kind of health inspections are the nursing homes that keep nursing home lawyers in business. Size and quality are related. In this case, the numbers suggest that with only 36 residents in total, the staff at Buckingham's Choice can devote a lot of time to each individual. Within the facility's 5-star overall rating for staffing is the striking figure that residents of this facility see a registered nurse, on average, about two hours a day - more than double the state and national averages. Not surprisingly, Buckingham's Choice got 5 stars on RN staffing. Buckingham's Choice was better than both the state and national averages on total number of licensed nurse staff hours per resident per day. It was lower than state and national averages for time spent by LPNs and LVNs (licensed practical nurses, licensed vocational nurses). But it beat the state and national averages - by a lot - in the time spent by certified nursing assistants (CNAs) and physical therapists. At three hours-plus, this facility has given residents more than half an hour of daily CNA time above the state and national averages. On physical therapy, it again has been very strong, giving residents 19 minutes a day - more than double the Maryland average (9) and triple the national average (6). This facility's quality measures were mostly average for short-stay residents, mostly positive for the long-stayers. Out of a total of nine measured categories, its numbers for short-stayers were very closely comparable with the state and national averages. Buckingham's Choice was slightly below average on preventing pressure ulcer incidence and in using antipsychotic meds, but a bit above average in terms of patients' self-reports of moderate to severe pain. For the total of 15 quality categories affecting long-stay residents, this facility did distinctly better than state and national averages in many cases. It scored better than state and national norms on helping residents maintain their mobility; and well above average on helping residents continue their daily routines without need of aid. Buckingham's Choice was excellent on using physical restraints (zero - considerably better than the state and national averages). This facility also beat the state and national averages on preventing UTIs and beds sores; limiting catheter use; and preventing serious weight loss. This facility's long-stay residents had fewer depressive symptoms than average, and less likelihood of needing antipsychotic meds. One negative spike for this facility was bowel and bladder control: 83.8 percent of the Buckingham's Choice long-stay residents had a problem here, versus 58 percent on average for the state, and 46.6 percent on average nationally. However, in most other categories for long-stay residents, this facility scored comparably with state and national norms - or better. As for the negative side of the ledge, Buckingham's Choice received that 2-star rating for health inspections. Its number of health deficiencies (11) was marginally higher than the state (10.6) and national (7) averages. It was found to have deficiencies in six of the eight measured categories; the worst category being environmental conditions, with 3 deficiencies. To this facility's credit, there were zero deficiencies for administration or for mistreatment. Buckingham's Choice outperformed both the state and the national averages on fire safety. The facility's last standard health inspection, in February, 2015, turned up a number of real or possible infractions: a registered nurse deviated from rules on preparing meds for a resident; "the facility failed to assess residents for safe use of side rails"; in an inspection of the kitchen, "dried food debris was observed on a meat slicer." Medication errors and falls are the kind of things that lead to real harm (and nursing home lawsuits). Perhaps the most serious point was the staff's attempt to resuscitate a resident who had given a "Do Not Resuscitate" order. 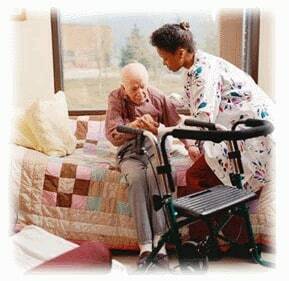 Getting top dollar for nursing home cases: what is the settlement value of your claim? Call our nursing home attorneys today at 1.800.553.8082 or get a free online case review if you believe you may have a potential nursing home lawsuit in Maryland. There is no a cost or fee or any kind unless we get money damages for you. We can help you better understand your options get you the justice you deserve.